Canadians have embraced Internet shopping, spending billions of dollars annually on purchases of everything from winter vacations to new homes. In addition to convenience and time saving, the Internet offers consumers the benefits of greater product selection and lower prices. But at what cost? In the case of glasses and contact lenses the lack of oversight and accountability can lead to serious problems for people who may wind up using devices that are inappropriate or worse, unsafe for them. “There is zero oversight of online companies who sell glasses and contact lenses. They are, in essence, answerable to nobody,” says Dr. Patrick Quaid, (Optometrist, PhD), with IRIS The Visual Group in Guelph,ON, and co-chair of CCEPro (Canadian Coalition of Eye Care Professionals). The potential perils of buying online glasses are highlighted by a study published in the Journal of the American Optometric Association (AOA) in September 2011. The study by Pacific University College of Optometry in Oregon found a 44.8 percent overall failure rate for glasses ordered online. The most common problems were incorrect prescriptions and failure to meet minimum impact-resistance safety standards, meaning the lens can crack or shatter. In some cases, researchers received single vision lenses instead of multifocals — an unheard of mix-up, said Karl Citek, a professor of optometry at the College and lead author of the study. Lens treatments such as anti-reflection coatings were either incorrectly added or omitted. In nearly one-quarter of the glasses, at least one lens failed impact testing, which is required because prescription eyeglasses are classified as medical devices by the Food and Drug Administration (FDA). If these measurements are not taken properly (or at all), the field of vision is reduced, the wearer may not be able to see properly at various distances, they could develop double vision, eye strain, headaches, or head and neck pain from hyper-extending to look through different areas of the lens not lined up properly to the eyes, says Dr. Daryan Angle, vice president, professional relations with IRIS, The Visual Group. Such measurements are very difficult to do over the Internet using current technology because the frame must be on the patient’s face for most of them. And the larger the prescription the more vital these measurements are. Yet online glasses are typically dispensed using only binocular PD measurements. Moreover, says Dr. Quaid, finished glasses almost always require some adjustment and custom fitting, something the web is ill equipped to provide. 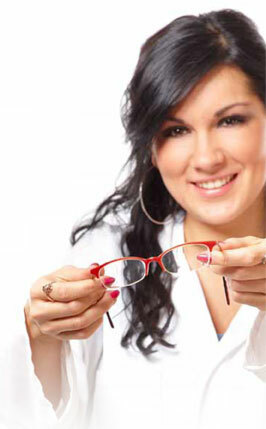 Nor is there any verification as to whether an optical prescription has expired for either glasses or contact lenses. This is a major issue considering that certain patients should never wear contact lenses because of prior eye infections or corneal scarring, for example. Dr. Quaid cites the example of one Ontario patient he personally saw who was advised to stop wearing contact lenses because of recurrent eye infections. Undaunted, she bought them online anyway, then visited his office three weeks later with another infection which ultimately resulted in corneal scarring. The woman has now lost some vision in the affected eye. “Who is accountable here?” asks Dr. Quaid. Studies have shown that there is a four to five times greater risk of developing microbial lens keratitis, a condition that can lead to permanent vision loss, among those who wear contact lenses purchased online. One problem with online contacts is that you don’t know whether the lenses are properly fitted to the eye, says Dr. Angle. A contact lens that is too flat for the cornea moves excessively and will irritate the palpebral conjunctiva, causing irritation and can potentially lead to giant papillary conjunctivitis (GPC). Chronic GPC can lead to scarring and/or permanent contact lens intolerance. A lens that is too steep or fits too tightly to the cornea will trap bacteria, debris and/or toxins between the lens and the cornea, which can lead to microbial keratitis or a sterile ulcer. CCEPro also believes that unsupervised Internet dispensing is especially dangerous to children and seniors as they have a higher prevalence of eye conditions, which are important to detect in order to avoid long-term vision damage. Dr. Quaid cites the increased prevalence of binocular vision (BV) anomalies, which, when added together, affect approximately one in 10 children in the general population, with hyperopia more than +1.25DS being associated with lower academic achievement and convergence insufficiency overlapping in terms of symptoms with conditions such as ADHD. Among seniors there is a risk of missing serious eye pathology such as age-related macular degeneration (AMD), glaucoma or diabetic retinopathy. Dr. Quaid predicts that problems arising from the sale of online glasses and contact lenses will lead to long-term health care costs for government by reducing the incidence of eye exams, ultimately resulting in missed pathology in adults, and pediatric problems like amblyopia and strabismus in children. There is increasing recognition that ECPs must adapt to the growing challenge of Internet sales or fall by the wayside. Online sales of glasses and contact lenses now represent about 2.3 percent of the U.S.optical market, a figure that is expected to double to 5 percent over the next two to three years, says Daniel Beaulieu, president and CEO of DirectLab International Network and a member of the Vision Council of America. While there are no comparable figures for Canada, Coastal Contacts, the country’s top online seller, saw sales of both eyeglasses and contact lenses increase in the first fiscal quarter of 2012, compared to the same period a year earlier. In the quarter ended Jan. 31, 2012, Coastal’s eyeglass sales increased 63 percent to $10.3 million, while total contact lens sales rose 7 percent to $36.6 million. Dr. Quaid says ECPs must also start charging realistic fees for their services and Dr. Michael Chaiken, O.D., agrees. Dr. Chaiken, the past-president of the Quebec College of Optometrists and current vice president of professional affairs with IRIS the Visual Group, says opticians and optometrists have long worked for free in the hope that people will buy from them in the future. Optometrists must also purchase expensive diagnostic equipment, which is used to conduct eye exams and diagnose vision problems, he notes. Instead of fighting the Internet, Dr. Daryan Angle suggests that ECPs use it to help educate their patients and improve service delivery. Another way to respond to the Internet challenge is to create your own website and retail products in a way that combines brick and mortar with the Internet. This model, which is gaining popularity in the U.S., is starting to make inroads into Canada. IRIS plans to start selling contact lenses online to its own patients by early summer, joining other independent Canadian optometrists and some optical stores. “Patients must have received proper in-person, up-to-date eye health examinations, contact lens fittings or progress checks at one of our locations by IRIS Doctors of Optometry and/or contact lens fitters,” says Dr. Angle. The development of increasingly sophisticated software is about to revolutionize the Internet dispensing of eyeglasses, says Daniel Beaulieu, president and CEO of DirectLab Network. Beaulieu believes that because the Internet has changed the rules of the game,Canada’s ECPs must now change the way they do business. “They need to start selling to the public online in order to compete successfully with Internet dispensers,” he says. Consumers can save more than 50 percent on the cost of glasses and contact lenses by buying them through an Internet dispenser, says Beaulieu, adding that in Canada, the average online cost of a single vision package, including frame and lens, is just $69. To that end, DirectLab plans to launch a web development package in support of ECPs later this year. “We will offer a complete website management service, including frames and lenses, at a price that will enable ECPs to compete with online companies,” says Beaulieu. One significant advantage of the new model is that while customers will make their purchases online, they will have full access to local eyecare service for fittings and adjustments. And ECPs will be able to charge a fee for those services. The new business model is similar to MyOnlineOptical, which Essilor launched in the U.S.two years ago. It combines the convenience of shopping online for eyeglasses, contact lenses, frames and sunglasses with the services available from an ECP’s practice. 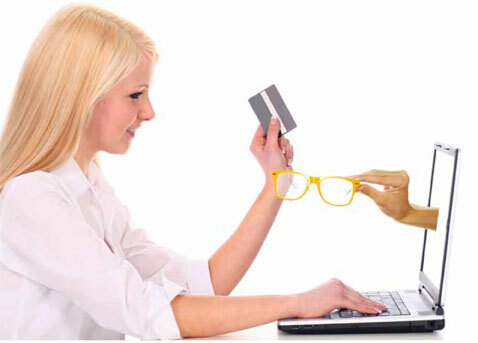 MyOnlineOptical.com now services about 1,100 practices in the U.S.